Gina&apos;s Sports Dock is so close to Pewaukee Lake, any closer and you&apos;d need floaties. Published Sept. 7, 2018 at 6:01 p.m. Considering the warm weather only lasts a few months, perhaps one of the most pleasant sights for many Wisconsinites to set their eyes on is a nice, soothing beach. You can certainly find that gorgeous view at Gina's Sports Dock, found right on Pewaukee Lake – any closer you'd be sharing your table with the fish. Located a few miles off exit 188 off I-94 West, Gina's Sports Dock offers a unique dining experience that makes any customer feel as though they are dining at a sports bar on the beach in Florida, thanks to a lakefront space that allows for outdoor seating – complete with sand. Gina Schwister has owned the beachside hotspot since 2012. However, she was manager of the restaurant for 10 years prior to her purchase. 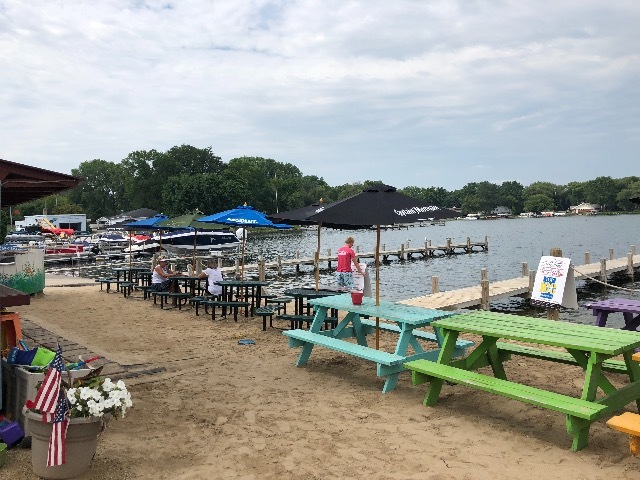 Just one year into her position as owner, Schwister said she wanted to give it her personal touch and really go for a true beach feel outside to utilize being right on Pewaukee Lake. "I kind of wanted to amp it up," Schwister said. "I developed the beach bar because the sand area had never really been utilized from the previous owners. There was a service bar, but it was nothing like it is today. It was actually just to the end of the building before." 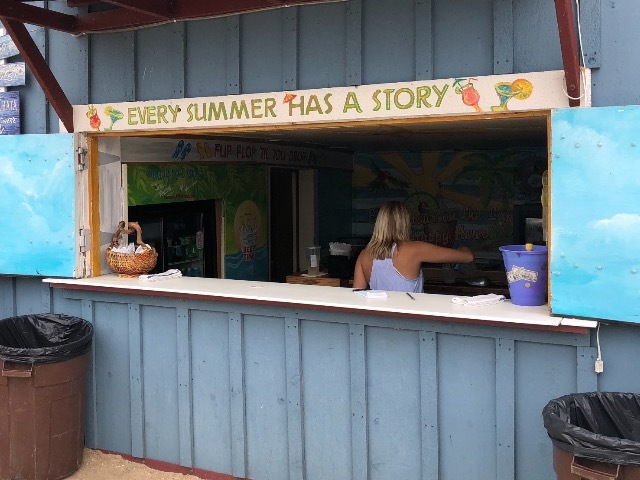 Schwister says the beach idea has been a hit, allowing customers to enjoy food and drinks right from the tables in the sand with a full bar located just steps away. The fun atmosphere attracts customers from the Lake Country area and beyond, says Schwister. "We really have a huge clientele from the whole metro area in the summers," Schwister said. "Of course, there are always the lake residents that dock up to here." While tying up to the dock for a visit is free, Gina's Sports Dock also has two boat launches which can be utilized by anyone, costing $10 for a whole day with truck and trailer parking included. 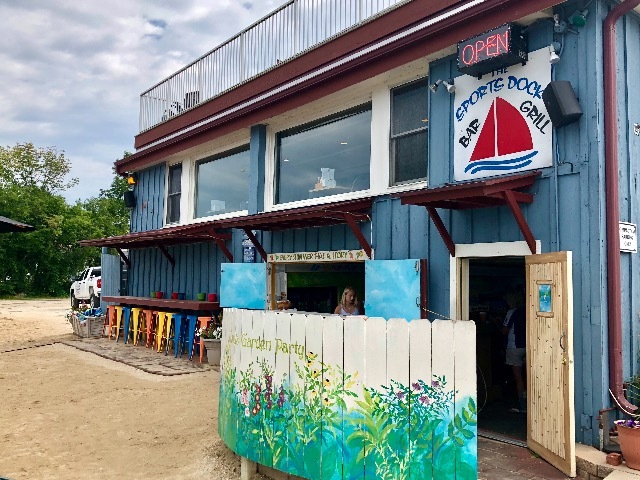 However, because of the restaurant's popularity in the summer, Schwister says she likes to keep as much open space on the restaurant's boat docks for boaters to be able to easily tie up and stop in for a meal. "I don't rent out all the slips for the dock because we are known as the boater-friendly bar on the lake," Schwister said. "We have a lot of space for people to come and go so we have a constant flow of patrons. We are a lot different than a bar that rents all their slips and has no room for boaters." It's not only the atmosphere that brings people to the Sports Dock's shores. Schwister said she enjoys having food on the menu that is homegrown in the state. Items such as the burger meat, Italian sausages and even the buffalo burger patties all come from within the state of Wisconsin. In fact, the buffalo is hand delivered from a buffalo farm in Belgium, according to Schwister. "We are definitely known for our burgers," Schwister said. "I have actually had people from the state of Washington that come in to visit family, and they come here and say they have to have our burgers because they can never find a burger like it anywhere else." 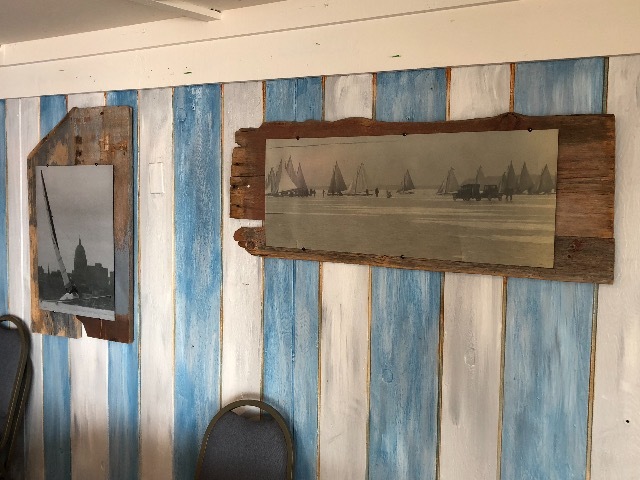 As for the inside of the restaurant, the walls are all lined with paintings and photos with a local touch. 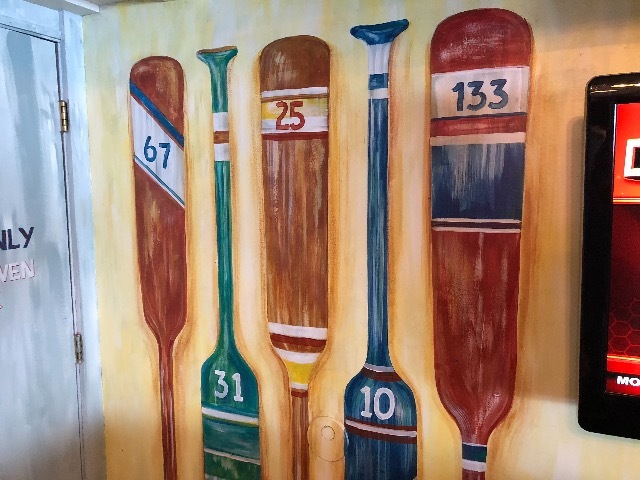 The paintings of paddles with sailboat numbers coordinate to regulars from the yacht club, the quirky quotes scattered across the eatery were thought up and brushed on by one of Schwister's friends, and the pictures of boaters on Pewaukee Lake date back to 1922. Schwister said she enjoys the local touch and says it all adds to the homie feel she enjoys encouraging, where all are welcome to relax and have a good time. "We are very family friendly," Schwister said. 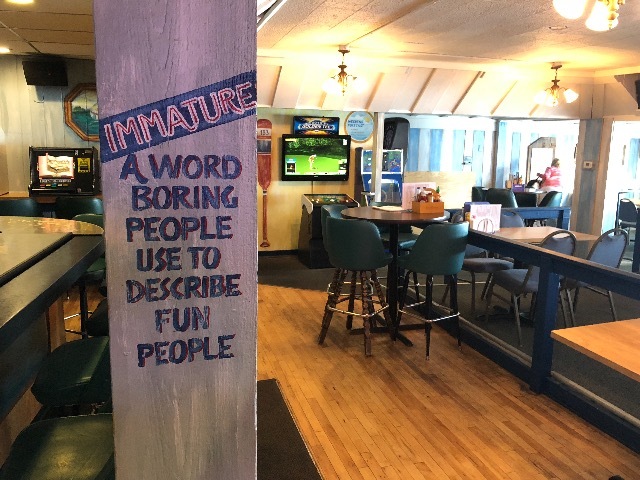 "Of course, on the weekends when we have a band at night, it might not necessarily be the best place for children but we are definitely family and kid-friendly. We always have sand toys on the beach for the kids to play with, and we are always welcoming. "A lot of people in the area love to be able to come out here for an afternoon or an evening to watch the sunset, put their feet in the sand and chill out after a long day"
While she says owning a small business and being married with one child makes for a busy schedule and a lot of hard work, Schwister says she has no plans of leaving the restaurant business. "After 16 years at this location, I'm not going anywhere," Schwister. "I wouldn't want to be off the water." After just one visit to the serene shores of Gina's Sports Dock, we wouldn't want to leave, either.